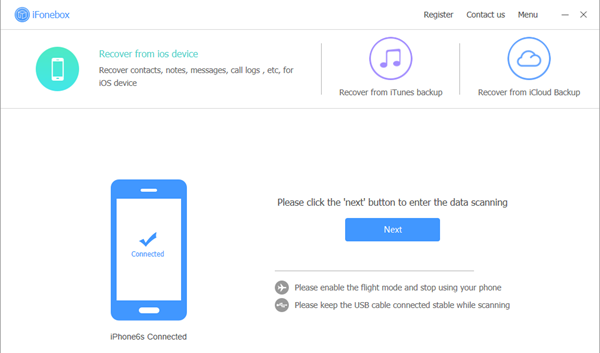 How to recover lost data after I update my iPhone to iOS 12.2? How to restore missing data after I upgrade iPhone to iOS 12.2? How to get erased iPhone data back after an iOS 12 upgrade? Frankly speaking, data loss is a very common issue and most of the iOS users suffer from this. Data loss can happen because of several reasons. Like if you are updating your iOS version. Recently, many users lost their data after an update to iOS 12.2. It is very unfortunate and this is why Apple suggest you to get in the habit of backing up regularly for safety considerations. If you want to know how to recover lost data after I update my iPhone to iOS 12.2, more about restoring backup files, just keep reading this article. Download the free trial version of iFonebox to give it a shot! iFonebox has two available versions: Windows version and Mac version. Please make sure to install the right version for your computer. Once you have installed the program, next I will show you how to get erased iPhone data back. Connect your iPhone to the computer, in this interface, you'll see “Next” in blue area, click it to continue. It’s necessary to enable the flight mode and keep the USB cable connected stable during the progress. 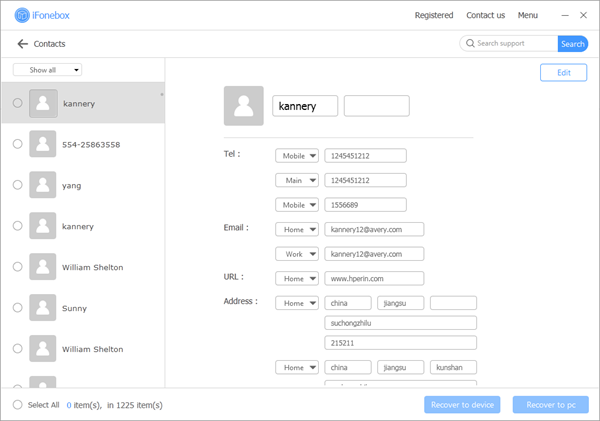 Take contacts for example, it will scan automatically after you click the “Contacts” to begin the process. The duration depends on the amount of your data so it might take your some time, please wait patiently. Once the scan is complete, a list of contacts will show up on your program interface. Now you can recover them, choose the items you want and click “Recover to pc”. How to recover deleted text messages from iPhone XS/XR/XS Max?